WHAT’S GOING ON WITH MALE BIRTH CONTROL? 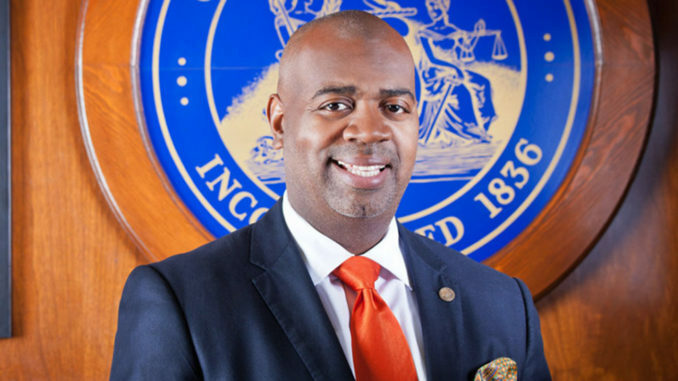 The lead content in Newark’s drinking water now is the highest ever recorded in the past 17 years and Mayor Ras Baraka has sent a letter to President Donald Trump because of the health emergency. In his January 14th letter to President Trump, Baraka implores the President to forego the demand for $5 billion to build a wall on America’s southern border in lieu of the more pressing public health emergency that continues to plague U.S. cities and put our children at serious risk: high levels of lead in drinking water. “From Newark, New Jersey, across America’s heartland, to Oakland, California, [lead in drinking water] is affecting the health of millions of Americans every single day,” Baraka said in a news release. “Each day, our children in black and brown communities are being exposed to dangerously high lead levels from outdated lead service pipes, lead which enters our homes and our children’s blood and puts them at risk for serious and life altering health challenges,” he said. This is not just true in Newark, but also in over 20 New Jersey communities and thousands of urban and rural communities across the country, Baraka said. He said he believes the country’s aging water infrastructure should be addressed rather than funding an unnecessary border wall. “The cost of fixing our failing water infrastructure falls disproportionately on low-income communities that lack adequate funding resources to swiftly deal with them,” Baraka said the release. “While the City of Newark has developed a unique public-private partnership to replace lead service lines throughout the city, the only real, permanent solution to protect future generations of children is to replace the lead service lines completely, which carries a price tag few municipalities can bear alone,” he said. I am writing to express my deep concern that you are seriously thinking of declaring a national emergency to fund a proposed $5 billion border wall. I want to bring your attention to a true emergency that puts millions of our citizens at risk: The decaying infrastructure of our water systems which has created a crisis in Newark, the State of New Jersey and across America. Dangerously high levels of lead are entering homes and our children’s blood through lead service lines despite the fact that any level of lead can damage the developing brains of young children. Besides Newark, more than 20 other New Jersey cities and towns have elevated levels of lead in their tap water, and so do thousands of municipalities in our nation. This crisis, mainly, affects older black and brown cities with limited resources and serious health issues that are systemically overlooked by every level of government. In prioritizing environmental justice, saving children and their families within these cities is a must. Although the situation in Newark is very different from that of Flint, our need to replace lead service lines is equally urgent. I join in solidarity with the 11-year-old girl known as Little Miss Flint who told you that spending $5 billion to make water safe is a much better way to protect Americans than building the wall. In the short term, we are distributing 40,000 water filters and cartridges to affected homes in Newark. We are also changing our corrosion control system. But, the only real solution to save this and future generations of children is to replace lead service lines. It will cost an estimated $70 million to replace the lead service lines in Newark, hundreds of millions more to replace them in New Jersey, and an estimated $35 billion to replace all of the lead service lines in America. Achieving this is possible only with financial help from the federal government. You have been saying that a border wall will save thousands of American lives, but that’s simply not true, instead of wasting billions of dollars to keep an ill-conceived campaign promise, I urge you to use our resources in a way that will truly save American lives – help repair our nation’s deteriorated water infrastructure.